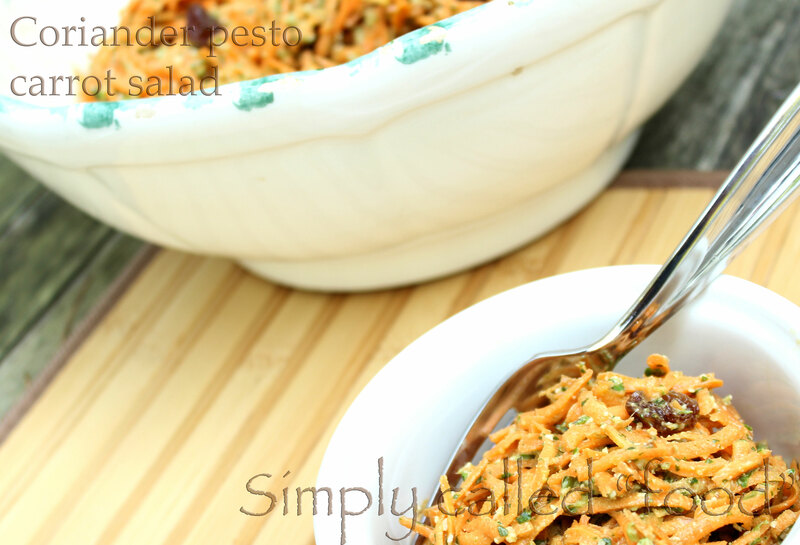 Coriander pesto carrot salad | Simply called "Food"
That’s a quite long title. But it’s not complicated to make at all. This salad is just a reflect of summer in the freshness of it and the mix of flavours. When you make a salad at pretty much every meal, you need a change sometimes. We tend, at least I tend to associate pesto with pastas, but in fact it can go in anything. I got last week from my local farm, quite a few carrots, a nice big bag of coriander, and I love salads, but this time I wanted to change the way I usually make it. I first thought about just adding the leaves to my mix as I usually do, but then I thought again about my pesto recipe I made last week and decided to make one for my salad. It event has a creamy look, which is pretty interesting . Shred you carrots and put them in a salad bowl. In a food processor, pulse the coriander, the garlic, the walnuts and gradually add the oil until it gets smooth. Combine your pesto to the carrots and add the lemon, the raisins, the salt and the pepper. Let it rest for about 15-20 minutes if you can so all the flavour can blend well. Tags: Carrot, Coriander, Food, Fresh herbs, Fruit and Vegetable, Gluten free, Nuts, Pesto, Raw, Recipe, Vegan, Vegetarian, Walnut. Bookmark the permalink.